Posted by deanna on May 18, 2009, 11:50 am, in reply to "Re: Feels like rain, but......"
large drops of rain this morning. CNA is predicting 40 to 60% chance of rain today over the "central pacific" but that may or may not include our little weather bubble in La Manz. 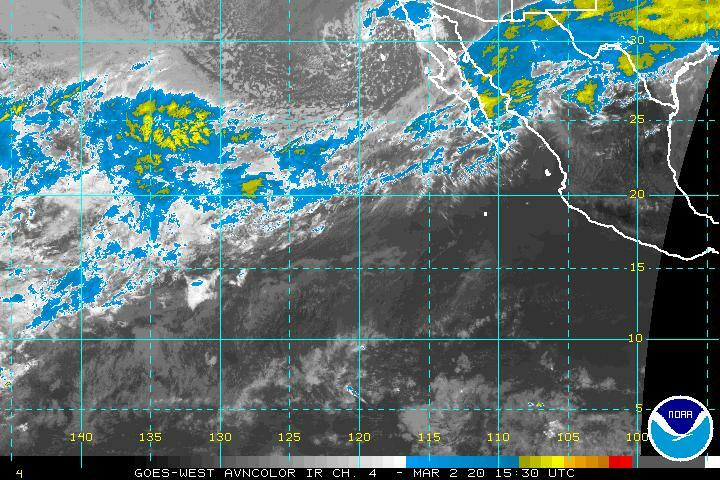 Below is a link to the most recent GOES West satellite photo, showing pretty much the same moisture pattern we've seen coming out of the Pacific for the past 3 days.